Happy Sunday everyone! I hope you are all having a fabulous day! 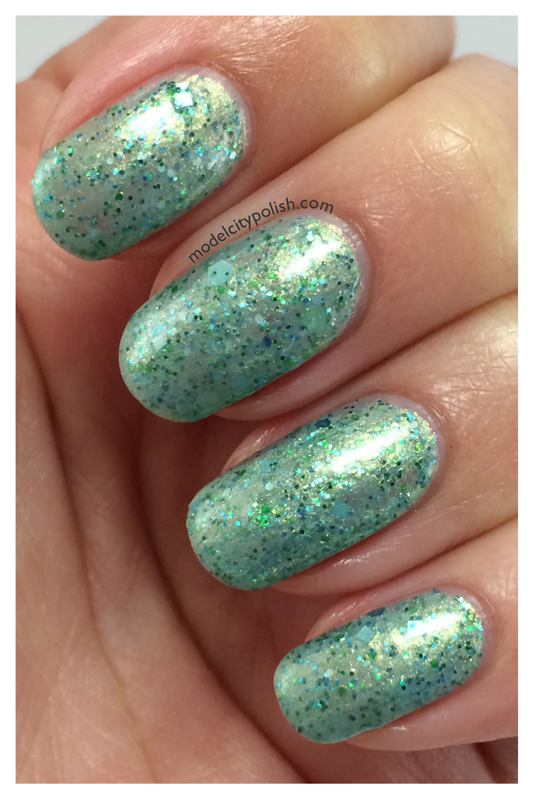 Today I have another lovely Legend of Zelda inspired blend from my indie birthday month to share with you guys. 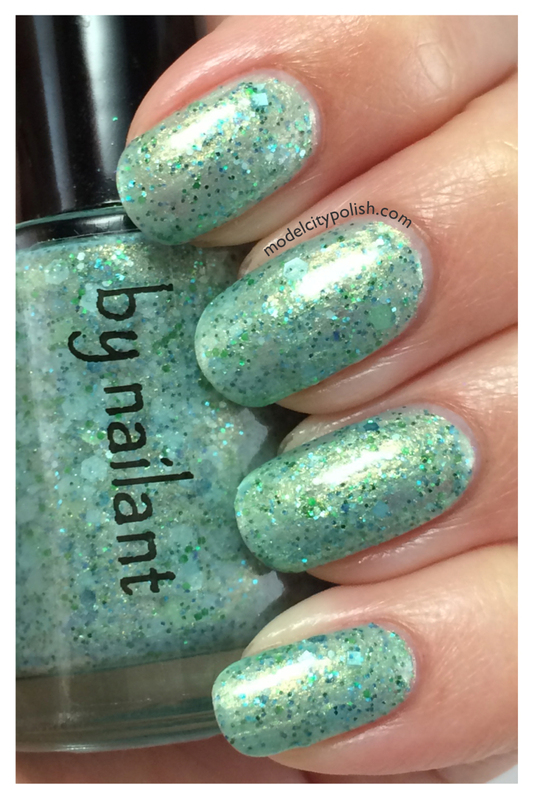 Today’s blend comes from Nailant and if you don’t follow her, you should because her photos are amazing! 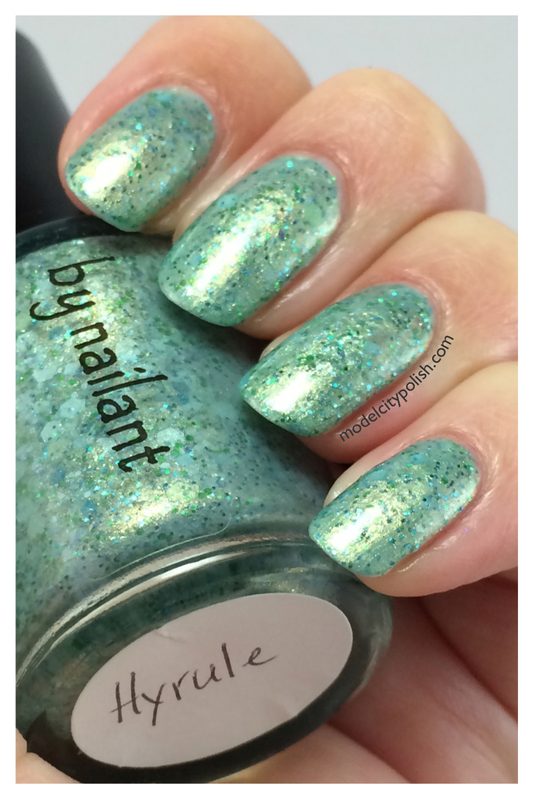 Hyrule is a lovely pastel green blend with various sizes, shapes, and shades of green glitter. Applications was flawless and coverage was fantastic. 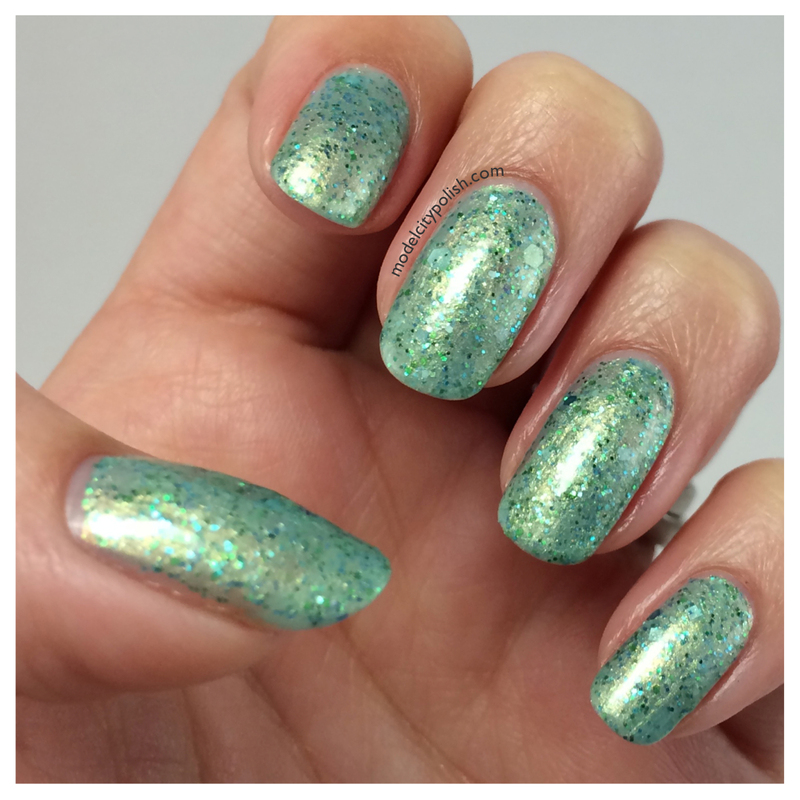 In my photos I am wearing three coats of Hyrule and one coat of Gelous. That gold sparkle is so pretty!